Few experiences evoke more perfect imagery of an African safari than driving in the shade of Mount Kilimanjaro, across the plains of the Serengeti and along the ridge of the Ngorongoro Crater. This package highlights a continent teeming with wildlife and lush vegetation against varied and dramatic backdrops. Coupled with lodging that seamlessly and luxuriously integrates itself into the surrounding landscape, there is quite simply no better introduction to the magic of Africa. 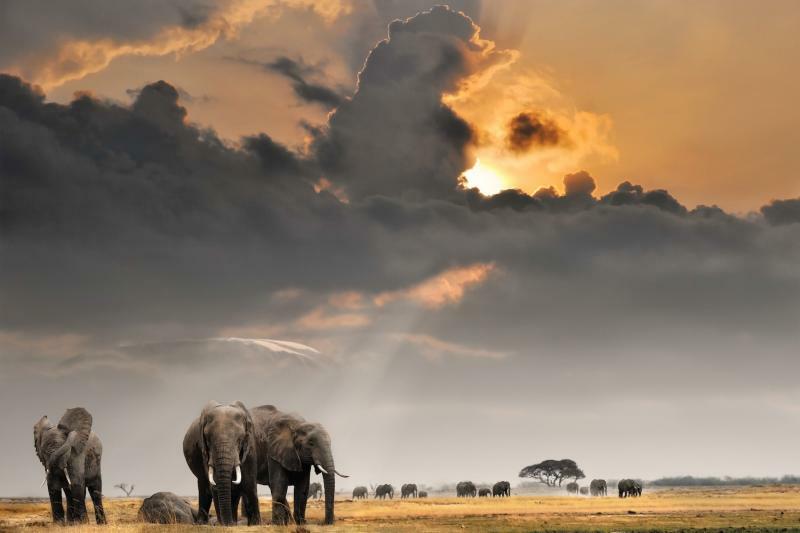 This trip begins by immediately launching you into the wilds of Africa in Amboseli National Park. 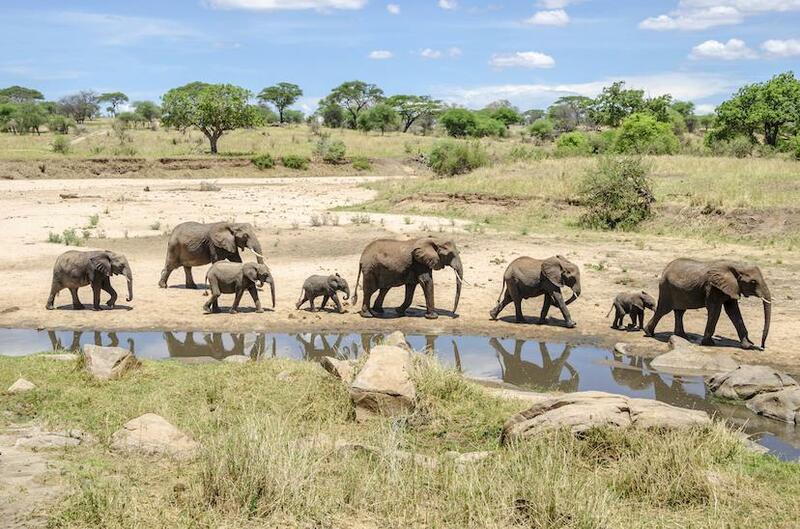 With Mount Kilimanjaro acting as a backdrop to this portion of the safari, this tour spends two days watching elephants, giraffes and lions cruise across the picturesque plains. Spend an afternoon visiting a local Masai warrior community, learning about their unique culture and agricultural practices. 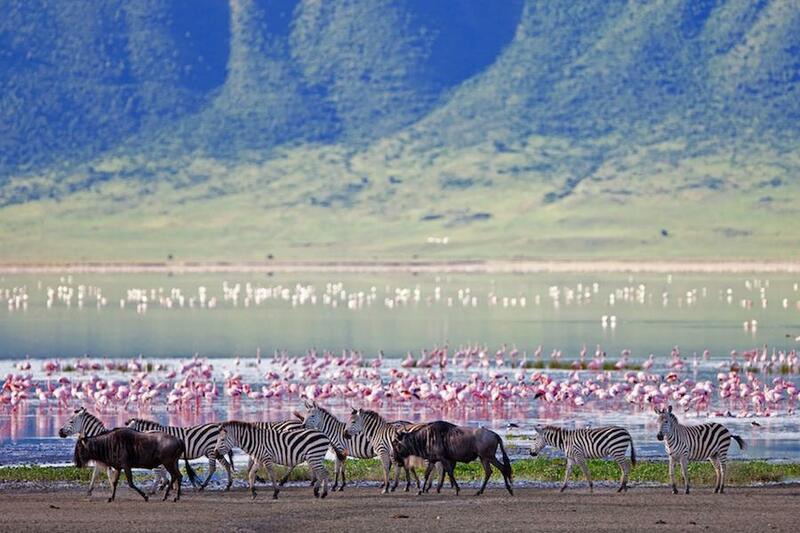 From Amboseli, you will detour quickly through Tanzania’s Lake Manyara National Park, home to countless numbers of flamingos and the unique tree-climbing lions. From a lodge perched atop a ridge, guests can admire the alkaline lake and mixed forest that characterize this region. 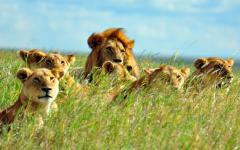 From Manyara, you will move on to the infamous Serengeti National Park. 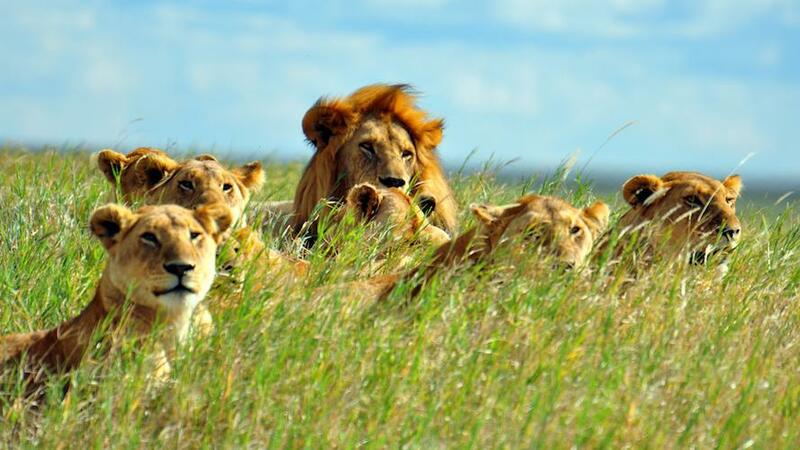 The park’s substantial lion population allows guests to watch multiple prides interact with the surrounding ungulates. 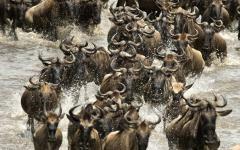 Rhinoceros, leopards, and cheetahs dot the sidelines of the stage set for the world’s greatest migration of wildebeest. 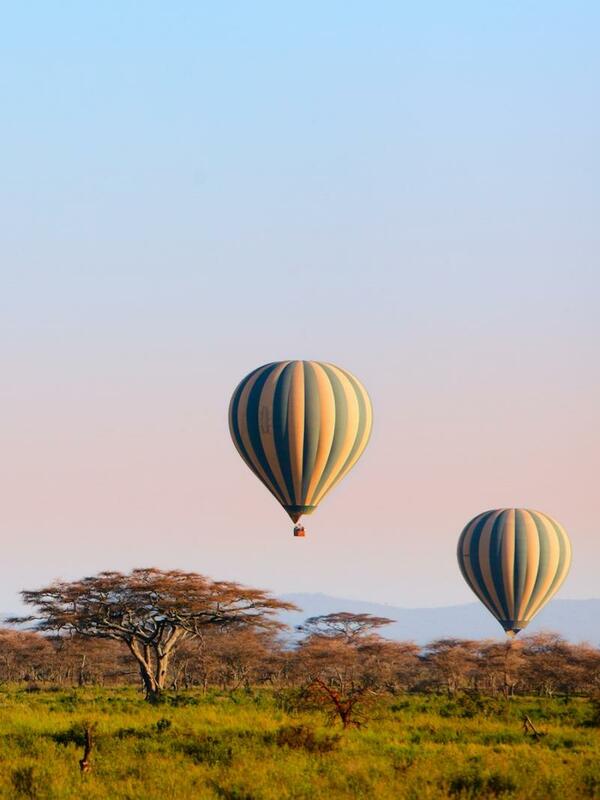 With sunrise picnics, evening sundowners and the opportunity to sail over the Serengeti in a hot air balloon, guests will spend two days experiencing the serene magic of this park. 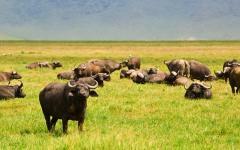 The adventure cumulates with two days spent exploring the prehistoric Ngorongoro Crater. The dense rainforest of the crater walls explodes out onto the vast plains and reservoirs of the crater floor, which teem with the resident wildlife. With the opportunity to explore intimately the region on foot under the leadership of a local guide, guests will be able to connect with the intricacies of this remarkable ecosystem, leaving Africa both more knowledgeable and more inspired. Dry Season (June – October, January – February): Best for wildlife viewing – at this time, wildlife is concentrated around the remaining water sources, and the bush is at its least dense, enabling greatest visibility. Rainy Season (March – May, November - December): The bush is at its most lush, and birdlife is the most diverse. This period is best for those interested in landscapes, flora and birdlife. High season for tourism occurs from July - March, while low season span from November to May with smaller crowds and lower prices. January: Having returned from the North, hundreds of thousands of wildebeest find new grazing pastures throughout the Serengeti. 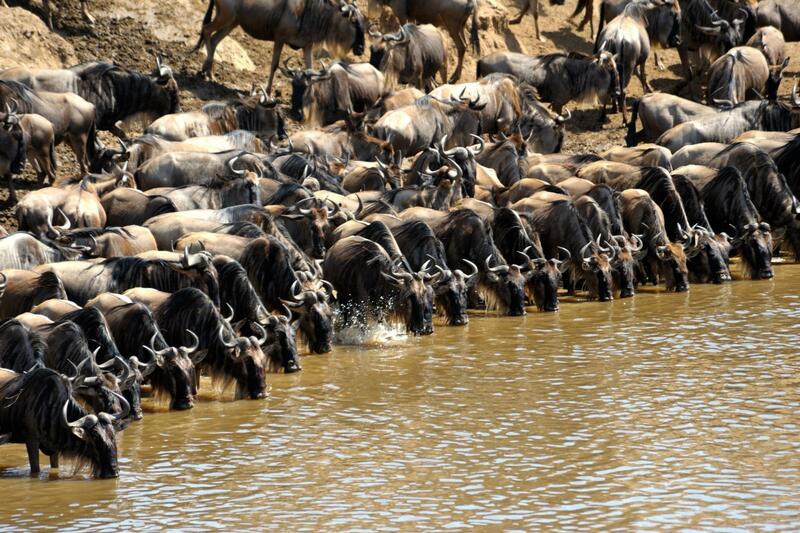 February: For a short period during February, wildebeest calve their young in the Serengeti and Ngorongoro. 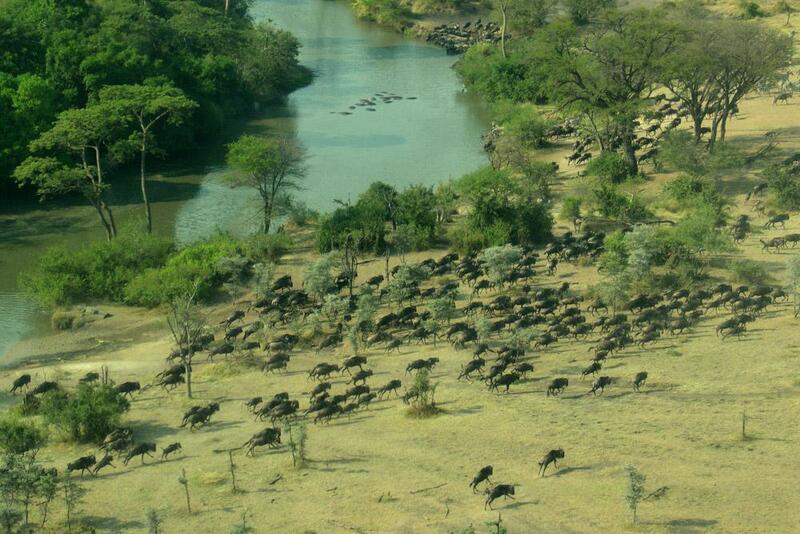 April: The migration begins its westward journey through the Serengeti, which can be observed by visitors. The wildebeest must cross the Serengeti’s Grumeti River that often slows the pace of the migration in June. 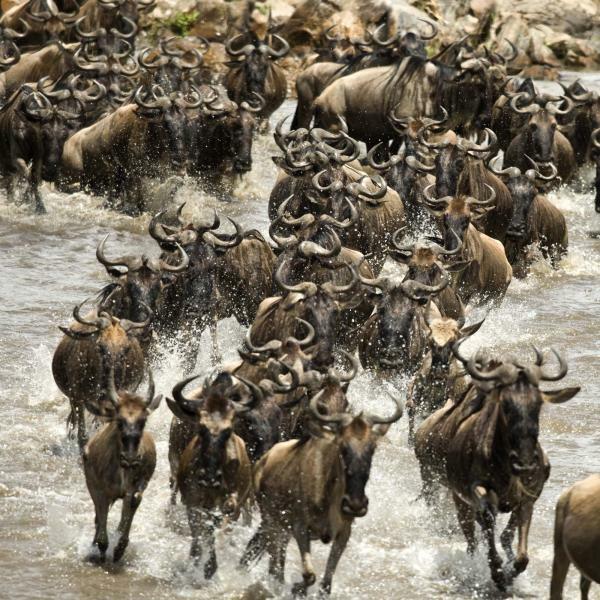 June – August: Wildebeest begin moving northwards, with some remaining in the northernmost areas of the Serengeti, while the rest continue on to Kenya’s Masai Mara. September: Wildebeest attempt the precarious crossing of the Mara River, which can be observed from the northern most points of the Serengeti. October: The herd begins moving south once more, returning to the southern plains of the Serengeti. November – December: Wildebeest return south to the Serengeti and Ngorongoro Conservation Area, in search of fresh grazing land. Welcome to Africa! Upon landing at Jomo Kenyatta International Airport in Nairobi, Kenya you will be met by your driver. Without wasting a minute, you will leave Nairobi by road for Amboseli National Park. The drive takes approximately 5 hours, after which you will check into the luxurious Amboseli Serena Safari Lodge. Depending on time and your energy levels, you will spend the rest of the afternoon on either a short game drive, or relaxing amongst the impressive views of Kilimanjaro and the surrounding plains. Amboseli Serena Hotel is one of the few lodges operating within the perimeter of the National Park. As such, it offers uncontested opportunities to integrate with your surroundings. Under the shadow of Mt. Kilimanjaro, the lodge offers spectacular views of the plains and acacia trees. 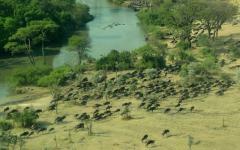 Nearby watering holes frequently attract elephants, hippos and buffalo, allowing you to exist amongst the wildlife. With a swimming pool, lounge, bar and massage services, this lodge provides incredible relaxation between the thrills of your safaris. Today you will wake up early to begin your tour of one of Kenya’s oldest National Parks. As the sun rises, an experienced guide will lead your exploration of the park in a safari vehicle, searching for members of the Big Five. With a dense elephant population, you can look forward to watching these mammoth creatures roam gracefully in front of the slopes of Kilimanjaro, effortlessly creating photo opportunities against this majestic landscape. Lions, cheetahs, rhinoceros and buffalo are also among the park’s familiar cast and can be spotted with patience and luck. After lunch at the lodge, you will head off on another adventure in the late afternoon as the temperatures cool and the bush livens. Well-versed guides will take time to teach you of the intricacies of Amboseli, in addition to searching for the larger mammals. Take time to pause at the watering holes fed by Kilimanjaro’s glaciers for a greater chance at viewing game. If interested in local culture, be sure to request a visit to one of the local Masai communities that have great historical significance in the region and development of the park. 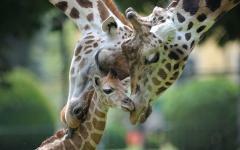 These village tours are also available during your time in the Serengeti and Ngorongoro Crater. As the day winds to a close, stop for a sundowner cocktail on Observation Hill while you watch the sun set behind the mountain – and take a moment to reflect upon your first full day in the bush. Today you will rise early, leaving Kenya for the Tanzanian portion of your adventure. After saying goodbye to your Kenyan guide and vehicle at the border, it will be time to meet your new Tanzanian team! Together you will drive another four hours to the gates of Lake Manyara National Park, at the base of the Rift Valley Escarpment. Upon arriving in the park, you will stop for a picnic lunch before embarking on an afternoon safari through this new landscape. 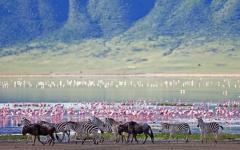 Lake Manyara revolves around a central alkaline lake fed by the Tarangire River. Throughout the dry season, this becomes a central watering hole for the rich mammal and bird populations within the park. Pink flamingos often line the shores of this critical lake, creating a truly impressive site. As you circle this lake and the surrounding mixed forests, be sure to keep your eyes in the trees for the rare tree-climbing lions unique to this particular region! Following this afternoon safari, you will make your way to the tranquil Lake Manyara Serena Safari Lodge. Located on top of an escarpment, this lodge offers sweeping views of the flamingo-filled lake, flood plains and forests. Enjoy a relaxing swim in the infinity pool before joining the lodge for a meal sourced in the surrounding communities. Day 4: Welcome to the Plains of the Infamous Serengeti! This morning you will finally reach the magnificent plains of the Serengeti! 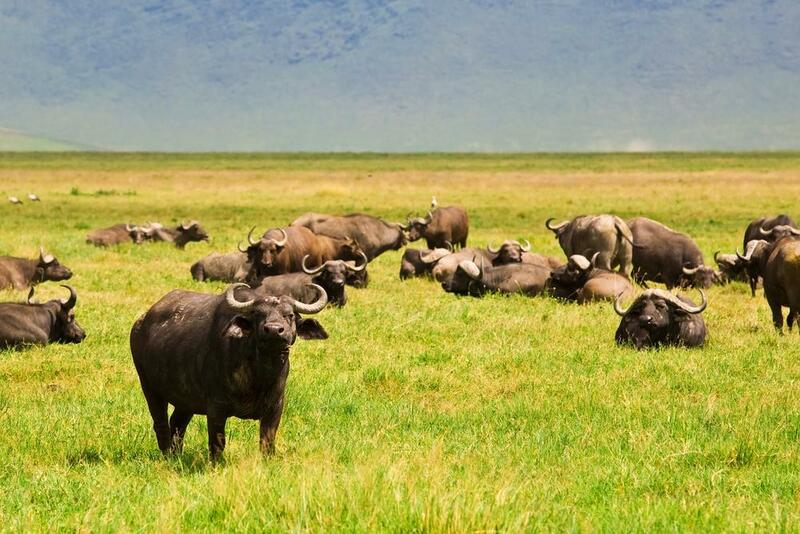 With an early morning departure from Manyara, you will pass through the Ngorongoro Conservation Area to arrive approximately 4 hours later in this world famous National Park. This ecosystem – one of the oldest on earth – has acted as artistic inspiration for countless authors, filmmakers, artists, photographers and conservationists alike. Over the following days, you will begin to understand exactly why Ernest Hemmingway and Hugo von Lawick were quite so enthralled. Be sure to keep your eyes open on this drive, as nearly the entire trip will pass through Big Five County! 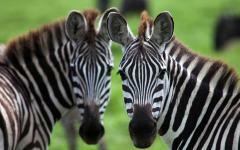 You will arrive first at the Serengeti Sopa Lodge in the heart of the Park. Located on an escarpment, the entire property offers unparalleled views of not only the rolling green and yellow plains, but also the woodlands, forests, marshes and lakes that provide variety and sustenance for the ecosystem. The views over the next two days will be the epitome of an imagined African safari. Be sure to spend some time throughout your stay here at the lodge’s upper balcony with a pair of binoculars on the lodge balconies, observing the activity below. The lodge itself blends with the surrounding environment, using local art and fabrics for décor. The main lodge is constructed with a second story balcony, perfect for a sundowner upon arrival. With a pool, a fitness facility, Wi-Fi, gift shop and a conference center, Sopa offers guests every comfort in the heart of the African bush. Take the rest of your evening to unwind and unpack, enjoying a buffet dinner in the airy dining room. This morning you will wake before the sun to catch the early morning activity on the Serengeti, possibly opting for a picnic breakfast outside of your truck as the sun rises. Your morning will be spent traversing the savannah, observing the interactions between predators and herbivores as they navigate the landscape. Hundreds of thousands of wildebeest, zebra and impala graze happily in the plains if your timing is right, while lions stalk them with hunger in their eyes. Elephants and giraffes are often seen meandering throughout acacia trees, snacking as they go, while leopards and cheetahs laze in the shade. Rhinoceros are slowly being reintroduced to the region after numbers decreased to roughly 70 individuals due to aggressive poaching. 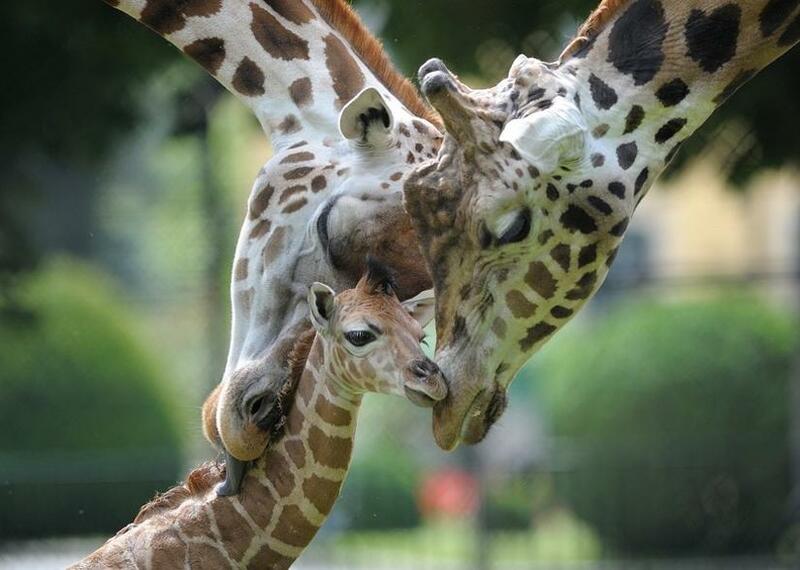 Conservation of the species, along with wild dogs, is currently of paramount importance in the park. As the sun strengthens, you will return to the lodge for lunch and relaxation. During the hottest time of the day, it is often nice to relax in the shade by the pool with a book – the animals will, after all, largely be doing the same. In the afternoon, you will set out once more in search of wildlife. The guides at Sopa are incredibly knowledgeable and again, we recommend taking time to learn about the smaller creatures in the area and the vegetation that supports them. Birdlife in the Serengeti is also plentiful – travel with binoculars for great sightings! If after a morning and afternoon safari, you still feel the need for further adventure, Sopa Lodge offers a few alternatives to the traditional game drive. 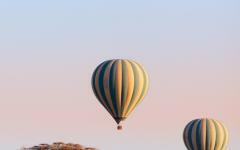 A popular – and extremely luxurious – option is to float over the plains of the Serengeti in a hot air balloon. There truly is no better way to grasp the vastness and magic of the region than from the air. There is also the option to explore the Serengeti by vehicle after dark, bearing witness to the very active nocturnal world. The park truly transforms under the light of the moon, with new wildlife and behaviors emerging at every turn in the dusty road. Night drives are also available at lodges in Amboseli, Manyara and Ngorongoro, if desired. In any event, as the day winds to a close you will enjoy another thoughtful meal at the lodge before retiring for what is likely to be an early night after a long day. This morning you will enjoy a fresh breakfast looking out over the Serengeti before transferring to the neighbouring Ngorongoro Conservation Area. This lush ancient volcano is an ideal complement to the flat plains of the Serengeti; the dramatic transformation of the land is truly shocking over such a small area. You will arrive first to your final lodge, the Ngorongoro Sopa Lodge, perched on the lip of the crater. Peaking over the edge reveals plunging views down to the crater floor, a half kilometer below. The crater was formed two – three million years ago when a volcano collapsed on itself. Today it the world’s largest inactive and unfilled volcanic caldera; the lush slopes and flat plains teem with wildlife navigating this prehistoric looking landscape. Home to a significant number of Masai warriors, the cultural and historical significance of the region is also of particular interest. The lodge itself is positioned perfectly for viewing sunsets over the Crater, with a second story on the main lodge perfect for sundowners. The surrounding environment and communities again inspire the design and décor, and the lodge draws on Masai traditions and art to bring you fully into the moment. Depending on your arrival time and energy levels, you may take part in an afternoon activity throughout the crater. Otherwise, spend the afternoon relaxing at another fantastic lodge with an impressive backdrop. Today will be your longest safari day yet as you set out in the morning with a picnic lunch for a full day exploring the Crater. Wildlife within the area is again impressively dense. Ungulates dominate the landscape with various predators and other large mammals existing amongst them. The Reserve has one of the densest known populations of lions, in part due to the natural enclosure created by the Crater. It is also home to a struggling number of Black Rhinoceros, who are currently the subject of intensive conservation initiatives. Today’s safari will snake you down the tropical rainforests of the crater slopes, across the plains of the crater floor, and around the central watering holes. Climbing back up to the highlands, your guide will take you to the lakes teeming with flamingos, and around the base of Tanzania’s third highest peak, Mount Meru. The variation in landscape and flora will make today one of the most visually interesting days of the trip. Having spent numerous days in a vehicle at this point, you may wish to enquire about the possibility of walking safaris. This will be an opportunity to explore the bush on foot, obtaining an unprecedented level of intimacy with your surroundings. Guides will ensure maximum safety should you wish to do this in the Crater. 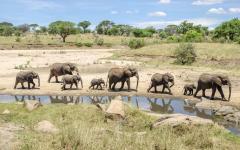 Walking safaris are also typically available in the Serengeti, Manyara and Amboseli, if desired. On your final day, you should have time to squeeze in one final game drive throughout the Ngorongoro Crater, or a final bit of relaxation as you absorb the atmosphere from the Sopa Lodge. At the last possible moment, lodge staff with transfer you to Kilimanjaro International Airport in time for your outbound flight. The transfer itself takes roughly 4 hours by road. Be sure to look out the window as your flight departs since you will have one final close up of Mount Kilimanjaro before returning home. "Our trip was fabulous and our travel agent did a first class job..."
"Our agent really knew the area and wow.... all great surprises." "We traveled for 18 days without a mishap!"